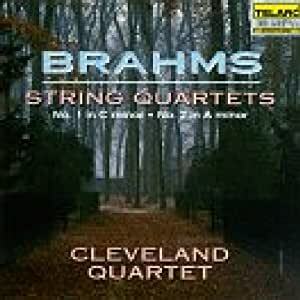 I must thank the Rough Guide for recommending this perfect recording of two of the best string quartets in the history of music by the Skampa quartet. Janacek based his first string quartet on the story by Tolstoy, the Kreutzer sonata about jealousy in a loveless marriage similar to his own. It begins with an adagio con moto using folk music with a chilling pizzaacatto. Janacek's quartets are marked by extraordinary textures and sudden juxtapositions of contrasting ideas which makes them very moving. 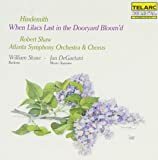 No 1 concludes wit a con moto which brought tears to my eyes, .Even though there are many links between the story and the quartet, it is best just to listen to the music. String Quartet number two could not be any more different Janacek claimed `this piece was written in fire. It's a work I carved from my living flesh . It is subtitled Intimate letters , inspired by Janacek's letters to Kamilla which are full of passion. Janacek introduces us to the Kamilla theme on the viola in the first movement and as with the first quartet, there are many extra-musical associations that could be found but it is not necessary to understand. The Adagio is quite well played and the concluding allegro left me trembling. Even though I have only heard one other version of the quartets, I cannot imagine that you could a more impassioned version. Please excuse any typos I have a neurologic disease. This is a wonderful recording of great music. 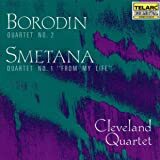 The playing is beyond criticism and recording allows the listener to hear the rich vertical dimension of these quartets. Performances like these should end the talk that these quartets are inferior to his other chamber music. 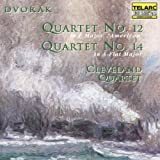 It is unfortunate that Telarc did not release a CD of their recording of the third quartet. 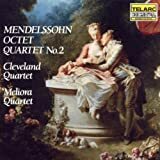 The Cleveland quartet is one of my favorite string quartets, but I do not like this particular recording of theirs. It just didn't have the right kind of energy. 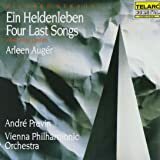 I've listened to many recordings of the brahms quartets, and I think that Alban Berg and Emerson play these well. 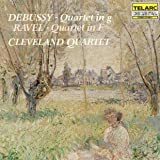 As for the Cleveland Quartet, buy them playing Beethoven or Debussy and Ravel. Those recordings are phenomenal.